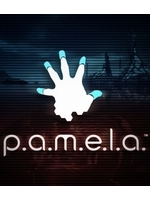 Scifi horror title P.A.M.E.L.A. shows alpha gameplay footage through this new trailer. The game explores the aftermath of humanity's craving for technological and biological advancement and takes place on Eden, an unforgiving paradise where the player will have to survive. Coming this Summer for PC. Mississauga, Canada - March 15th, 2016 - Indie micro development team NVYVE® Studios today released the Alpha Gameplay Trailer for P.A.M.E.L.A., the open world utopian sci-fi survival horror FPS that is scheduled for release in summer 2016 for PC on Steam. In P.A.M.E.L.A. players survive against all odds by wielding unconventional technology as they explore Eden, an unforgiving paradise that explores the unforeseen consequences of humanity's craving for technological and biological advancement. The P.A.M.E.L.A. Alpha Gameplay Trailer gives the first reveal of raw gameplay showing off a longer, unfiltered taste of what it means to survive in Eden, including exploration of all-new environments, combat mechanics, weapons and base building features. P.A.M.E.L.A. begins as a Sleeper is awoken from cryosleep in Eden, a fallen utopia wrought with death and danger. As the Sleeper, players will struggle to survive alongside Pamela, Eden’s AI overseer, as they explore the once vibrant utopian city. Uncover the tragic events that lead to the downfall of a civilization, fighting for their lives as the broken citizens of Eden defend their home against intrusion. With a personality-driven AI system, no encounter will be the same as the Afflicted react in unpredictable ways, driven by their excruciating pain and disfiguring disease. Players will interact with various factions, including the Afflicted citizens, security droids, robotic custodians and more. Each faction has its own unique behaviors and alliances, and will react dynamically to the player’s behavior to become allies or enemies. P.A.M.E.L.A. features tense gameplay in a richly developed, believable sci-fi universe where each decision is meaningful, and each encounter could be the player’s last. By customizing an array of modular equipment, players can defend themselves against the denizens of Eden while they explore the environment to gather and upgrade weaponry and construct a safe haven. But as energy is finite in Eden, players must manage the city’s power reserves carefully, using energy only when necessary to avoid the dangers of being stuck in the dark. Through an immersive UI that incorporates full body awareness, the player’s experience in the dystopian world is never broken. As every decision in Eden has consequences, players must tread carefully and think about the ramifications of their choices, such as the cost of enhancing their body with Bio-Augmentation - it might help in the short-term, but at what cost in the long-term? 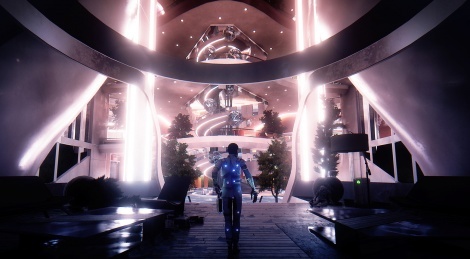 UI and graphic style are so cool, a mix between Mass Effect and Mirror's Edge. Still, the zombies look so out of place. They almost ruin everything. Couldn't they come up with something more creative to shoot at? What happened to horror sci fi game that had a really low fi aesthetic (floppy discs and stuff) routine was it? Yea, that's still in development. Probably the game I am most excited to play. Interesting, but the player animation looks awful.